At Old Spot Farm, we take extra special care in selecting the very best meat for you both in terms of the product but just as importantly, its provenance. We believe the quality of an animal’s life has a direct effect on the quality of the meat they give us. We only select meat from locally sourced reputable suppliers where we know they do things right. Our meat is sourced in the knowledge that the animals have enjoyed the fresh air and fodder of some of the best pasture land in the South East of England. 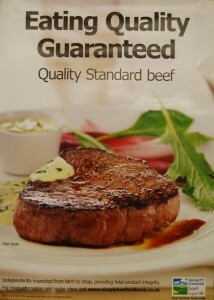 Furthermore, when we prepare our meat, we know how to get the best flavour from it. Commercial restraints on supermarkets mean they simply do not hang their meat for long enough, our beef is hung for a minimum of 21 days, in strict hygienic and temperature controlled conditions, providing the correct time and environment that it needs to ensure it is tender and, most importantly, to ‘taste like meat used to’, with no additives or interference. 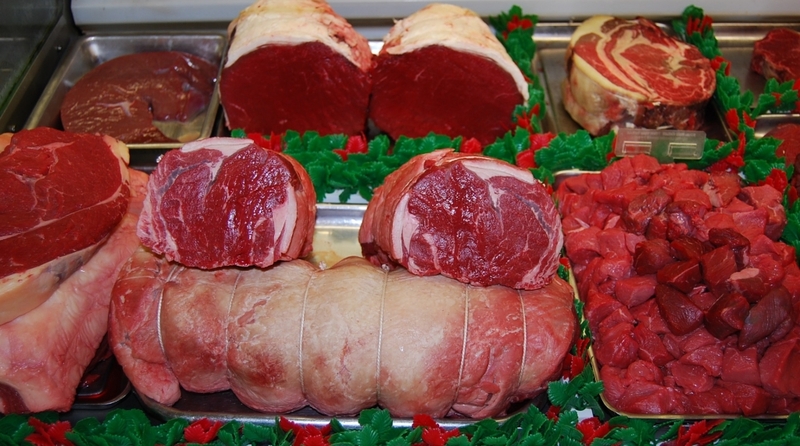 We prepare our meat by hand, using traditional butchering skills and tools, producing a variety of interesting and appealing cuts for the counter, which really do taste as good as they look. But then we would say that, wouldn’t we? As ever the proof is in the eating, and that is only going to happen if you come down to Old Spot Farm and try it for yourself.